The Shidoni in deep scarlet red color by Bernard Katz is about the communication between two individuals. Shidoni is a Navajo word for endearment meaning “friend”. 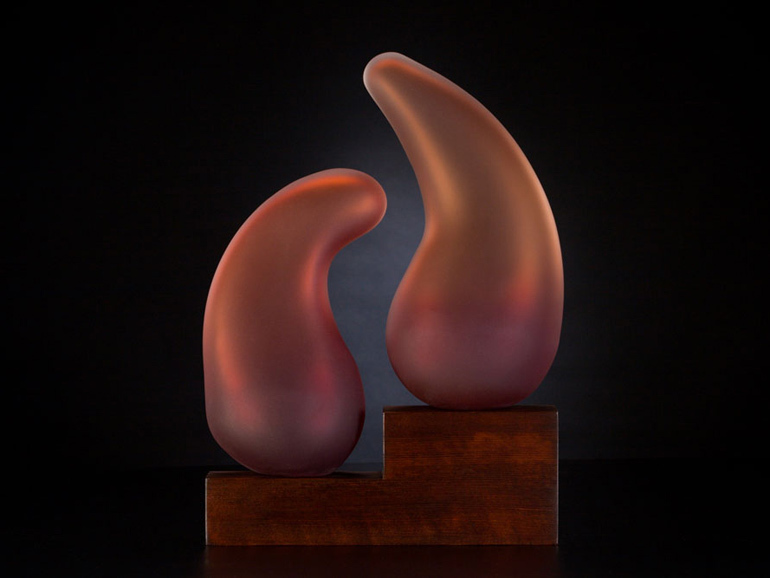 This hand blown Navajo inspired glass sculpture incorporates a hand finished redwood base. 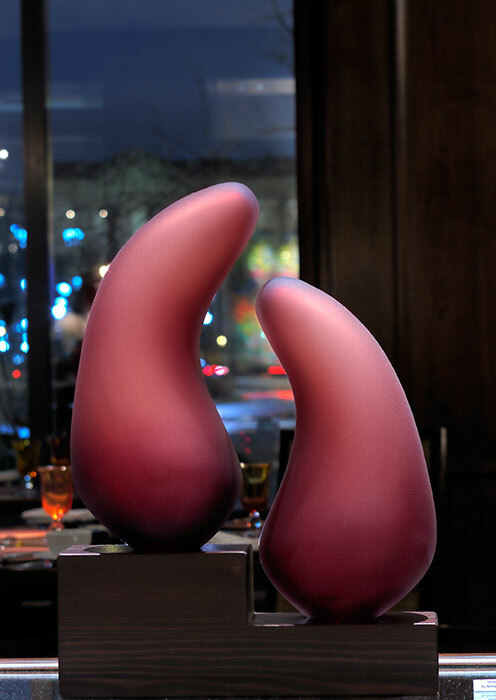 Shidoni glass sculpture with custom wood base in the Fountain Restaurant. A version of this sculptural piece was part of a project for The Fountain Restaurant | Four Seasons Hotel in Philadelphia, PA.